After TheTree went down,I planted the Sweet Gum tree. 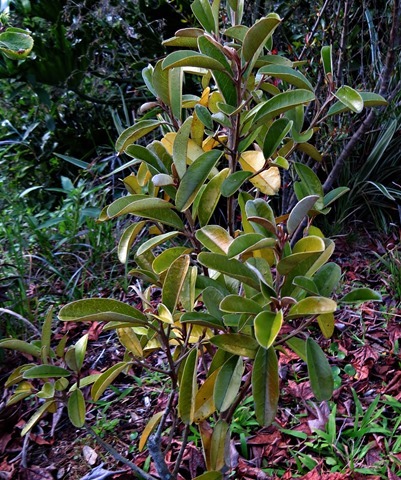 Close to it,I planted a Wax Myrtle shrub Myrica cerifera. 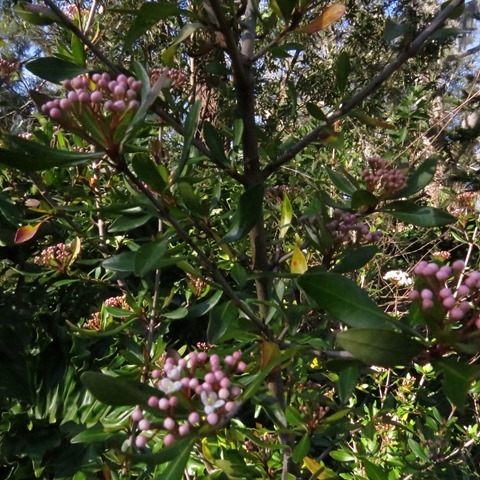 Just because I wanted to introduce more Florida native shrubbery to the garden. I don’t know if this is normal,or the warm winters we’ve had the past few years,but it seems to be an early bloomer. ….which I was not,but that’s for a whole other post…. a Simpson’s Stopper Myrcianthes,and a Beauty Berry Callicarpa..
All growing by the water’s edge. I’m aiming for a natural type hedge,by the water,which will provide cover and food for the birds,butterflies and bees. 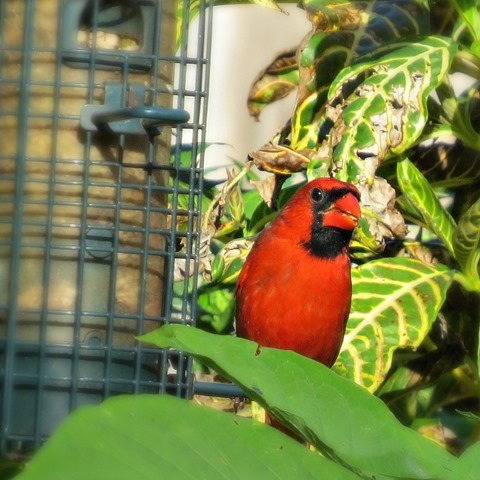 So far,along with the help of the feeders,it’s working…..